In this page, we cover the common questions that we hear related to SAP Leonardo. If you don't see your question covered, simply submit it using the form at the bottom of the page, and we'll get our team onto the case! What can I do with SAP Leonardo? What use cases are most relevant for SAP Leonardo? When wouldn’t SAP Leonardo make sense? What is SAP Leonardo’s biggest direct competitor? Is SAP Leonardo a rebadged RDS? How do I start an SAP Leonardo initiative? How can I try SAP Leonardo? Why is SAP Leonardo relevant? Why are early adopters choosing SAP Leonardo? 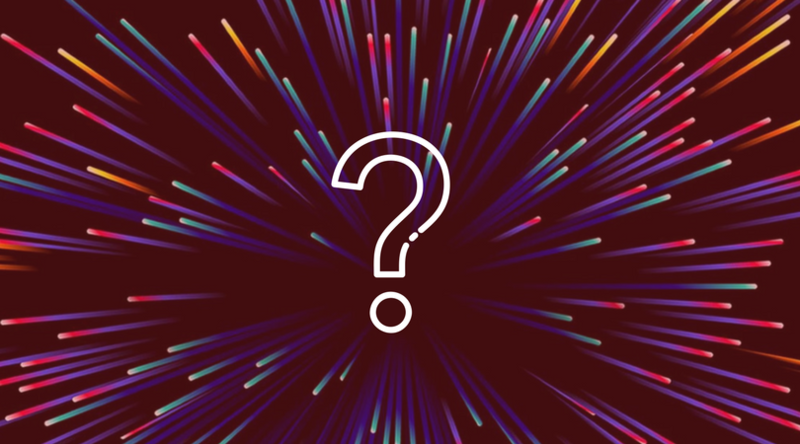 Is SAP Leonardo only for existing SAP customers? Is SAP Leonardo only relevant for big companies? How do I quantify the benefits SAP Leonardo will bring me? Is SAP Leonardo simply a different version of SAP Cloud Platform? Where can I deploy SAP Leonardo technology? Is SAP Leonardo only for IoT Solutions? What technology services does SAP Leonardo provide? How do I get started with SAP Leonardo technology? Why is SAP Leonardo named after a turtle? Good question. SAP haven’t always been great at marketing their products and sometimes deliver confusing messages to support new products and services. Let’s be honest, it’s refreshing to see a new product launch that doesn’t have HANA in the title. SAP Leonardo is different in that it isn’t just software and it isn’t just services, it is a combination of both, plus some tools and at the same time it is also a brand. SAP call it their “digital innovation system” and whilst sufficiently vague, that is accurate as they provide a full suite of needed tools and capabilities. Unlike many previous approaches which can consume significant amounts of time, the Leonardo approach is designed to run for an average of 6-8 weeks, ensuring your business can evaluate ideas in a sensible timeframe. What do you want to do?! If you consider the first answer above and dig past the buzzwords and marketing spin, SAP are positioning Leonardo as their digital transformation system, so when combined with the design thinking approach, easier licensing options and rapid & agile philosophy, the idea is that you can achieve anything you want in an enterprise context. Indeed, the main challenge of the early phases is to define potential areas of innovation, so you don’t need a pre-conceived idea of what this may be. This could range from organisation wide sensor to insight solutions, bringing IoT capabilities to your production sites and delivering real-time analytics to supply chain; through to simple B2C mobile apps; through to literally anything you can imagine in your enterprise. Key to making the most of SAP Leonardo, is using the early stages to explore and identify possible areas of innovation that could add value to your business – an exciting aspect is the ability to explore innovation with very limited commitment or barriers. Following SAP’s initial focus on IoT, this is an obvious area – SAP have made several packaged solutions or industry accelerators available in this space already across areas such as Retail Logistics, Discrete Manufacturing, Utilities, etc. The accelerators typically involve a package of lower level components from SAP to cover off the end to end use case in question. As mentioned earlier, given the range of capabilities on offer IoT isn’t the only use case – intelligent supply chain via the use of predictive services and/or machine learning could be of interest; more fundamental areas such as re-thinking UX with the use of voice, utilising SAP’s Co-Pilot platform alongside S/4HANA; deploying machine learning into consumer products and retail to offer improved retail experiences. You can consider SAP Leonardo as the bringing together of edge-case, leading edge solutions with traditional ERP capabilities, forming a coherent solution that is greater than its parts – this means there are very few limitations to potential use cases. ABAP extensions or new Web Dynpro applications in your Enterprise Portal, this typically wouldn’t be considered a sensible scenario for Leonardo. The full SAP Leonardo proposition might not be right for you but that shouldn’t preclude your own innovation agenda with more traditional and established technology, making use of the design-thinking centred approach and supporting methodology, which can help you on this journey. This is a tough one to answer. As it’s such a large proposition of various software, technology and methodologies there isn’t a natural, direct comparison from other vendors. However, that’s not to say you can’t achieve similar outcomes by consolidating several components from various sources. Indeed, here at AgilityWorks we have been big proponents of UX and Design-Thinking led engagements for many years, as well as adoption of leading-edge technologies. We know that innovation is dependent on the combination of technology and approach, and crucially needs the right culture and appetite to be successful. of Leonardo have numerous competitors or alternatives, as a complete package Leonardo looks to be different to what other vendors offer. Whilst other vendors have competing IoT platforms or machine learning services for example, Leonardo has the advantage of being a complete package of technology & services but more importantly it also has a methodology and structure to help customers achieve rapid value through innovation. No. There are indeed several packaged solutions from SAP that are focused on specific industries or scenarios and you could describe them as RDS, however due to the way Leonardo is delivered, it is better to think of them as accelerators which are roughly 70-80% of a given solution scope. To extract maximum value, you should look to engage with SAP or a partner to build your own version of innovation around the packages. Further, if the available accelerators don’t fit your requirements, you can also go down the open innovation route with Leonardo, which allows open-ended exploration of solutions. Customers interested in pushing their innovation desires forward can take advantage of the very low barriers to entry for commencing a Leonardo journey. Typically, the only investment to get through the initial Explore phase is to provide a small number of business and/or IT people for a one-day workshop with our Leonardo team. The Explore phase allows us to quickly identify potential opportunities suitable for Leonardo, helps you understand where innovation could apply to your business and ensures we all qualify there is potential business value to support moving forward. don’t. Specifically, there is no upfront software required or major commercial commitment. The Explore phase identifies how it could move forward or, in the unlikely event that there is no potential for innovation via Leonardo, you don’t progress further through the process. The process isn’t about dropping a load of new software into your organisation, it is about using a solid methodology to identify where opportunities lie. For a long time, SAP has been seen as the champion of back-office software; the ERP platform that keeps the lights on and allows 10’s of thousands of organisations to manage their finances, their stock and supply chains, their personnel and payroll and many other core functions. Rightly or wrongly, they have not been seen in as equally a favourable light regarding innovation or digital transformation. With the continuous improvements to their core S/4HANA solution, continuing evolution and enhancements to Cloud Platform & related technology, and growing cloud SaaS capabilities they are now strongly positioned to deliver on both innovation and digital transformation. However, the traditional way of engaging with customers through drawn out procurement processes and RFP style interactions simply doesn’t lend itself well to cutting edge, rapid innovation. Whilst SAP Leonardo makes use of a lot of new technology, the design thinking approach is very well established. Those organisations who are progressing Leonardo initiatives aren’t necessarily early adopters but they do understand the value of innovation and want to ensure they are enabling it within their organisation, whilst maximising their investment in IT. They understand that SAP Leonardo can be a mechanism to achieve this. Absolutely not. Whilst existing SAP customers will of course be a big focus for SAP and their partners, the nature of Cloud Platform and Leonardo services is such that it could and should be of interest to net new accounts too. The size of your business should be irrelevant. Leonardo’s focus on digital solutions and innovation are equally relevant to a global organisation with 10’s of thousands of employees, as it is to a local business with a handful of staff. Deciding if Leonardo is something for you is more based on your innovative ideas and the value you expect to realise. needed and barriers to entry are reduced. Further, you don’t have to commit to long term 3 or 5-year contracts, instead we can support you on short term engagements to evaluate and build a business and benefits case as part of the Leonardo engagement. No. Early on in 2017, with the first news around Leonardo, SAP talked about offering two distinct versions of their IoT capabilities, one on-premise and one in the cloud. At the time, they were focusing on delivering the cloud version first and only really talking about IoT – Leonardo wasn’t then the full system it has evolved to. As the year progressed, the Leonardo story grew and evolved, so that it now includes several capabilities over and above IoT such as Blockchain, Machine Learning, Big Data, Design Thinking and Data Intelligence. It has grown to be both a set of products and tools, as well as SAP’s main brand for innovation in a digital world. Today, the full Leonardo proposition is based around SAP Cloud Platform and includes the capabilities mentioned above, as well as several services that SAP and their partners can deliver as one tailored package. To support the accelerated nature of Leonardo engagements, when you move to the Deliver phase we make a full “reference architecture” available with all software and solutions needed to deliver your PoC. This again removes potential barriers to innovation and any dependencies on software you don’t already own. It is also important to understand that once you move past the initial PoC process of Leonardo, i.e. compete the Deliver phase, you should typically have a clearer view of what components are needed to support your solution for full production scale out – this may be over and above the Leonardo capabilities and could include other BoM items from SAP’s portfolio. 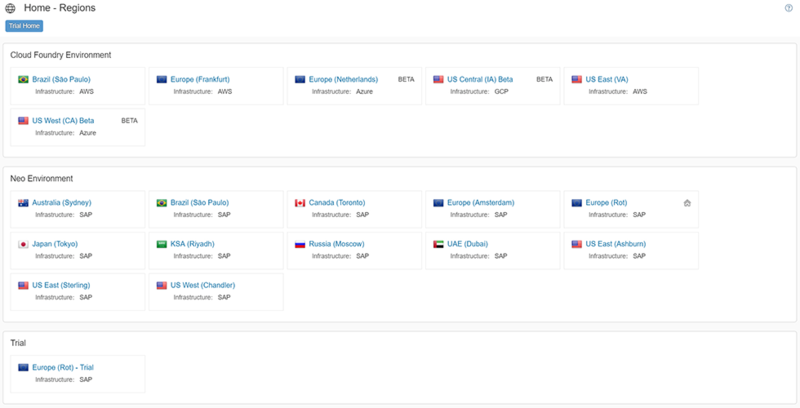 SAP Leonardo is currently available in SAP’s own cloud landscape and a selected range of other cloud IaaS providers but given SAP’s continued move to “multi-cloud” I expect the range of hosting options to continue to grow and diversify over time, with more capabilities available across Microsoft, Amazon and Google cloud services. *Depending on which services you need for your solutions, you may find yourself using a combination of CloudFoundry and NEO services from SAP, and hence a hybrid hosting and runtime platform. If you wish to understand more about Cloud Platform hosting options, please read the SAP guides and for some simple and sensible advice, don’t hesitate to get in touch. delivered by SAP Cloud Platform – so the world really is your mollusc. It’s also important to remember that Leonardo really isn’t just about the technology – as new capabilities become available they can easily be considered within the Leonardo approach, offering future-proofing. Leonardo & Cloud Platform, from mobility to integration and from IoT to big data. These will give you the chance to explore the capabilities and build working scenarios in your own trial account. For those of a certain age, or with children of a certain age, you may make the logical connection to Teenage Mutant Ninja Turtles – the reality is that SAP Leonardo is named after Leonardo Da Vinci. SAP view it as their tool to “navigate the new digital renaissance” and as a result, wanted to name it after the original “Renaissance Man”. 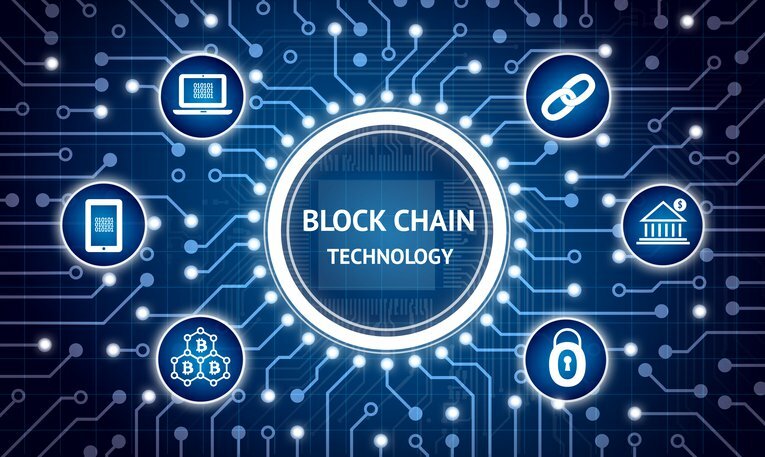 Learn more about what Blockchain is, and what benefits it can have for business. Gareth Ryan's take on why SAP Leonardo remains a mystery to many businesses. 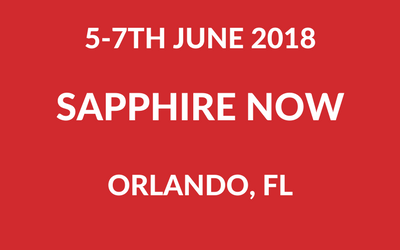 Join us at SAPPHIRE NOW 2018!